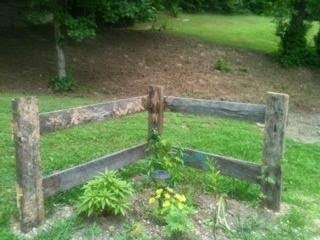 So here is a cute idea to make if you have some old barn lumber, or any old lumber for that matter, laying around. 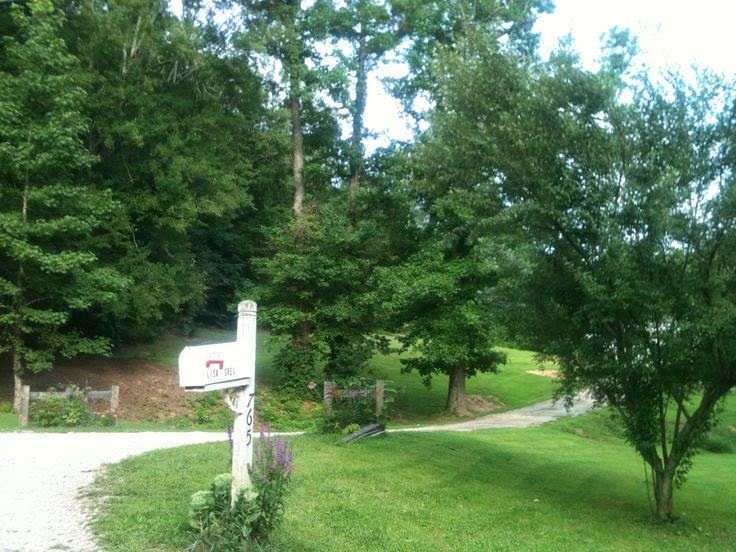 We live out in the country and driveway vears off from a secondary street to a patchy half gravel and half concrete strip. And down at the end of that there was really no eye catching anything to get attention, just big old space. 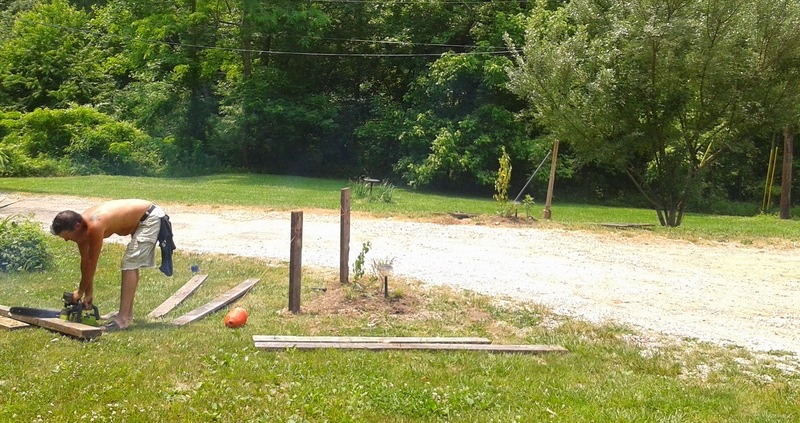 So I had the idea to take some of our old barn lumber and sketch out a make do corner fence at each side of the drive. And thankfully my husband figured out what I'd drew, made them and put them up. Here it was the first year after planting some pretties. They were barely growing in, but you can see some coming up. And here it was last year. 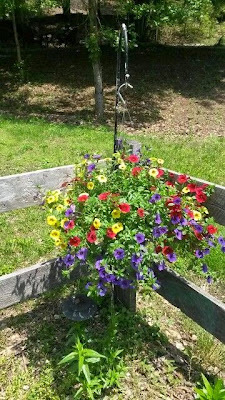 The hanging basket lent color until the big perennials grew in. 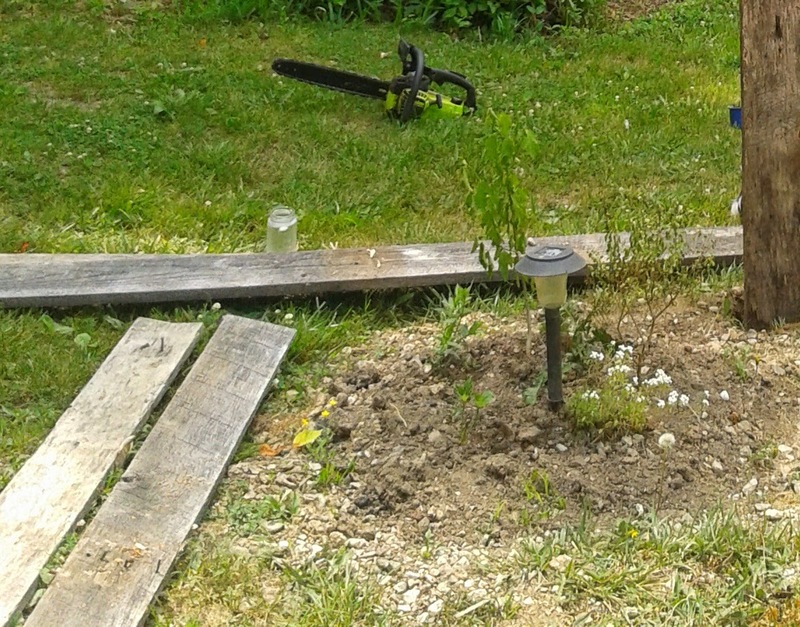 That is my doggie, Princess, trying to get cool by the new soil I had just put down. They were simple pink morning glories that took off beautifully and kept going way into fall. See, I get to walk through these everyday down on my way to check the mailbox. I had to wait a bit on the right side one to be finished because we were short a wide enough board for the last corner. But we finally found one! 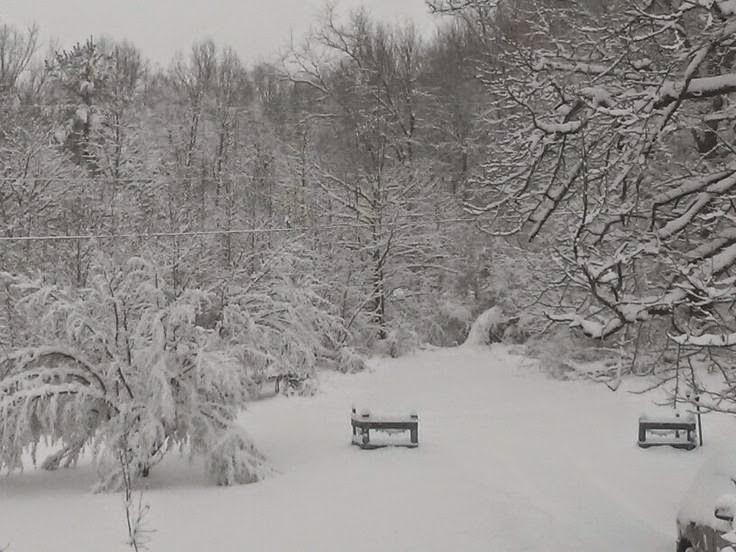 And I had to add this photo from February 2015. Look how beautiful! One thing is for sure, it gives you a cute focal point in places that are bare. And they are very easy to decorate in all occasions. Summer time is my favorite though. 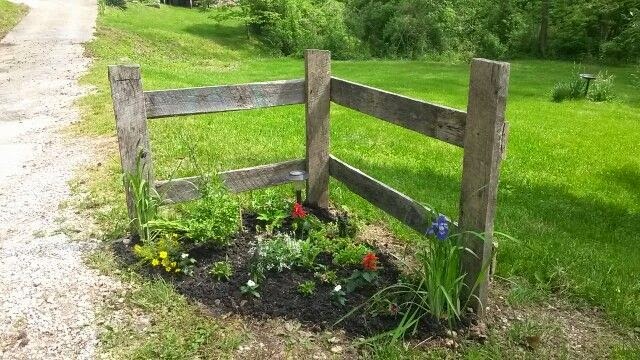 hum, not sure if I was suppose to make a new post to link up with "GoodFences" or add it to my existing one. I'm so new at linkups..
You're welcome and Thank you, yes it really helped add a bit of something to that big open space. And it is easy to decorate for the holidays. 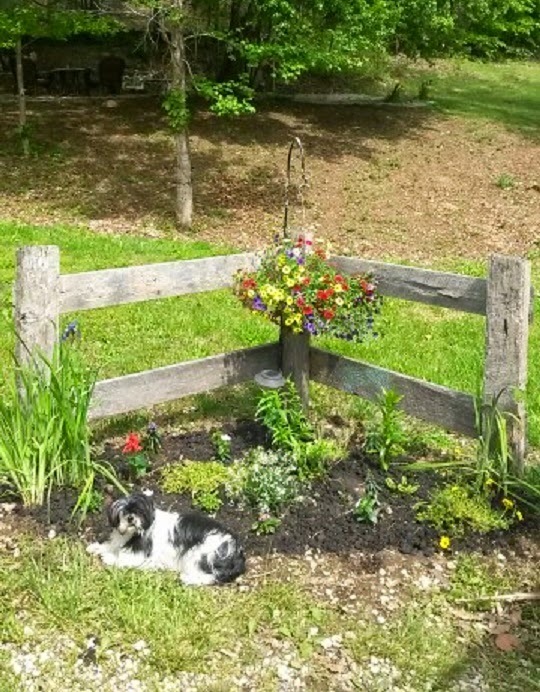 I like your fencing idea and it looks great especially with the pretty flowers and your cute doggie posing there.. Have a happy day! Thank you! 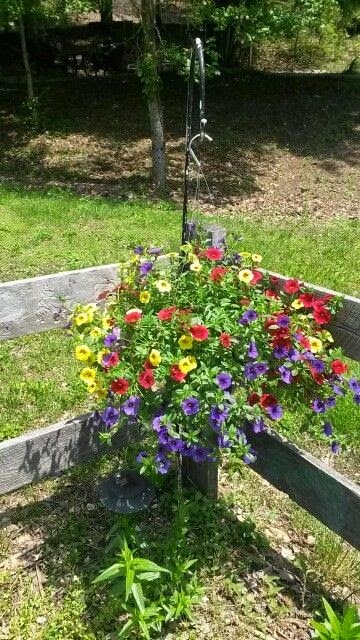 I love it more every year as more flowers grow in too. And the doggie seems to always make it in a few pics each time lol. What a great garden feature! So creative of you too! Love seeing it in different seasons! Thank you so much. Yes, I love seeing the seasons change with them also, love it. And we have electric on them also so they are easily to decorate for Christmas as well. I need to find a night shot. Clever use for old lumber. The flowers are so pretty. I liked them all, and what a cute little dog. Thank you. Yes, the old barn lumber fits in well and makes it seem sas though they have been there for years. And my lil doggie seems to make it in a few shots every time I'm out lol. 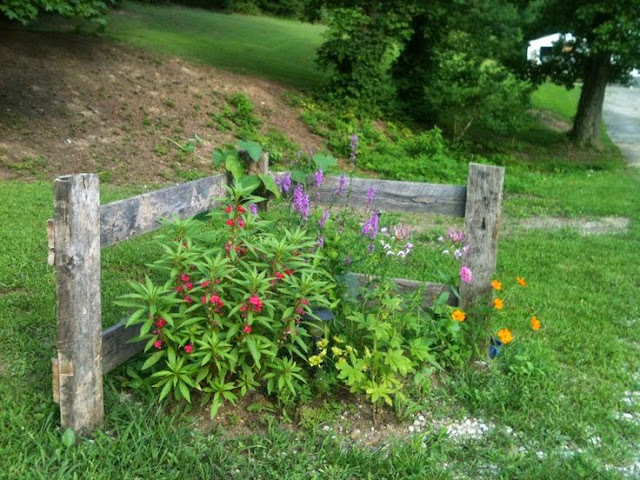 I loved running across the fence theme, especially since I love old fences. It's so fun seeing what all others are sharing like this. 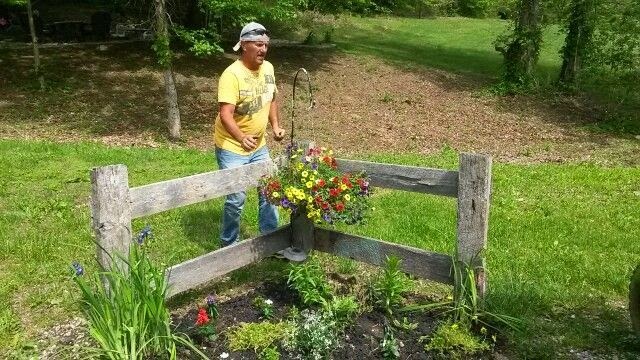 And yes, I love it when all the different flowers begin to grow in. In the fall when the morning glories take off great on the corner back, is one of my favorites. They are just as I had pictured in my mind lol. 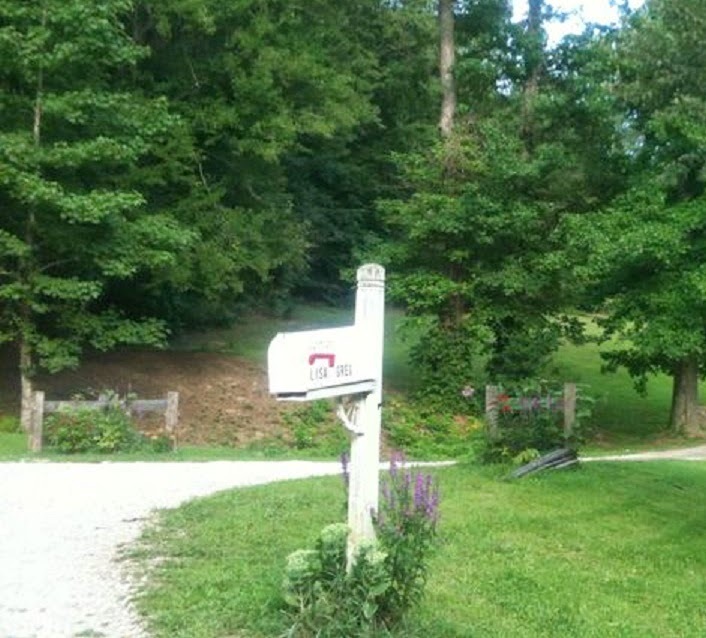 They do frame the driveway good. I hope you get to build some.